The FXSB 1983 Shovelhead for sale is a 1983 Harley Shovelhead Lowrider with a 1340cc Twin Belt Design, Electric and kick start. 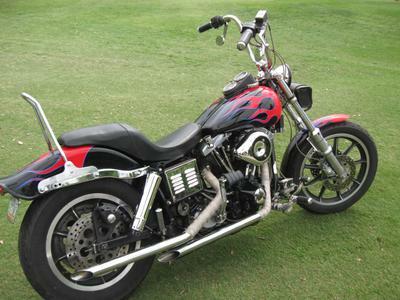 All of the Harley Davidson's numbers are matching; the frame, the motor and the transmission. I am the second owner of this old motorcycle and have taken very good care of her for 28 years. Battery, rebuilt carb (CV) the 4 speed transmission has been newly refreshed along with the seals, primary belt, engine pulley dampers installed, clutch cable, 3 finger clutch hub replaced with 5 finger hub, spark plugs, oil and filter, oil breather filter, petcock, inline filter, oil tank mounts, rear shocks, straight pipes with heat wrap. The Dunlaps D 401 tire have under 400 miles on them. I replaced speedometers twice and kept records of the miles on the bike which is currently under 35,000 miles. Parts that are NOT stock on the old Harley include a wide glide front end, 5 gallon fuel tank, bob rear fender,10 inch apes with internal wiring, braided brake lines and oil lines, deluxe oil cooler, drilled discs (dual) front and rear, custom paint, forward controls with new rings installed and wiring; it has been COMPLETELY re-wired. The FXSB looks great with not a single scratch on the custom paint job and runs strong with quick throttle response. The transmission shifts faster and smoother than it ever did thanks to Bill. They say the Sturgis FXB is a RARE collectible Harley after having been offered for only 3 years including the 1980, 1981 and 1982 year models. The FXSB Shovelhead Lowrider was only offered 2 years, 1983 and 1984 which makes the FXSB a very desirable collectible and rare in its own right. 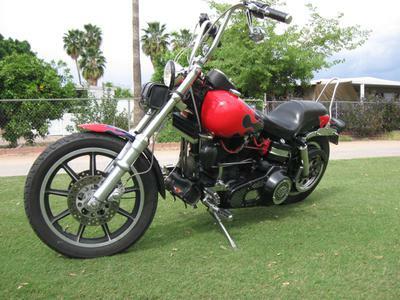 The 1983 Shovelhead for sale by owner is in Mesa, AZ Arizona, U.S.A and if you think that you want to buy email me using the comments form shared below by GoGoCycles Used Motorcycles for Sale for your convenience. 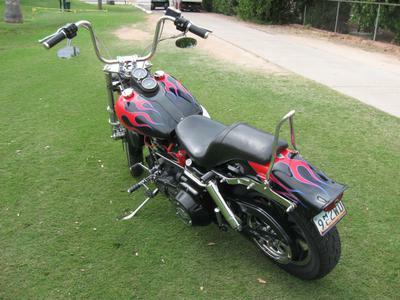 What is the price of the old 1983 Harley Shovelhead? Post it!